The Breaker Upperers (film, 2018). A New Zealand romantic-comedy film by Piki Films. Directed by Madeleine Sami. Official Trailer. 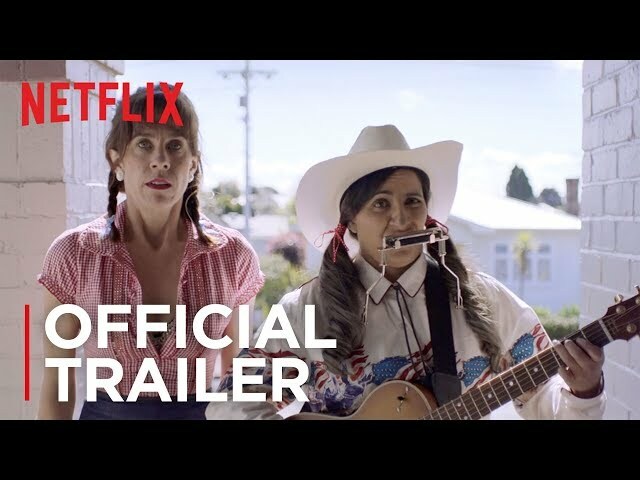 The Breaker Upperers is a New Zealand romantic-comedy film directed by Madeleine Sami. 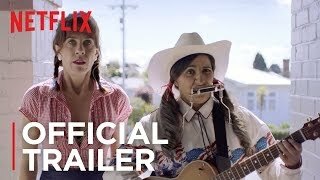 The Breaker Upperers | Official Trailer | Netflix. Jen and Mel run "The Breaker Upperers", an agency in Auckland for people who need help with breaking up with their significant others. They use unorthodox means to help their clients, such as impersonating police officers to inform a woman, Anna, that her husband has died and that his body has gone missing (though the latter is merely hiding in the agency's car). During their twenties, the two women befriended each other after discovering that their then-boyfriend, Joe, had been cheating on both of them. Although Mel has moved on, Jen remains obsessed with Joe, who has moved back into town with his wife and children. Mel becomes infatuated with Jordan, a seventeen-year-old client who is afraid to break up with his fearsome girlfriend, Sepa. The attraction is mutual, much to Jen's hesitance. The three meet with Sepa and her gang to break up the couple; Sepa does not take the news well and punches Jen in the face. After the incident, Mel and Jordan begin dating. One day, Jen and Mel re-encounter Anna, who still believes that her husband's body is missing and that the two women are police officers. Anna and Mel soon befriend each other due to their many shared interests, which annoys Jen and makes her feel left out. Eventually, Anna begs the two women to provide her with access to her husband's file. Jen and Mel, who are dressed as police officers, attempt to continue the charade by taking Anna on a tour through the local police station. Their plot is revealed when a real officer mistakes them for being strippers and requests a lap dance. After providing the lap dance, a shocked Anna storms out of the station. Mel apologises and explains that Anna's husband had hired them. Anna does not forgive them; she is furious and states that what the two women are doing is wrong and that many people have been hurt by their actions. The film The Breaker Upperers was scheduled to be released by Piki Films on March 10, 2018 (South by Southwest) and on May 3, 2018. The duration of the film is 90 minutes. The film grossed over $3,410,666 (NZD).